Cebu City, the oldest city in the country, recently has been recognized as one of the three “Cities of Culture” by the Association of Southeast Asian Nations (ASEAN) Ministries of Culture, along with Manila and Vigan. The recognition brings to fore the rich country’s cultural heritage of Cebu City. One of the city’s famous tourist attractions, Fort San Pedro, is where the first Spanish settlement in the country, Villa del Santisimo Nombre de Jesus, was located. Fort San Pedro was built in 1565. 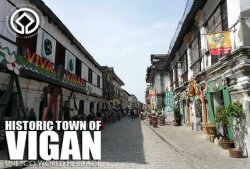 Calle Colon in downtown Cebu City is also considered as the oldest street in the country and named after explorer Christopher Columbus. Among the museums and sites featured in Cebu City are the Casa Gorordo Museum, Cathedral Museum of Cebu, Fort San Pedro, and the Yap-Sandiego Ancestral House. The newly-established Museo Sugbo and the Museo Parian sa Sugbo in Cebu City also joined by the University of Southern Philippines-Rizal Museum, Sacred Heart Parish Alternative Gallery, Cebu Normal University Museum, and Cebu City Museum. Historical sites and plazas that are part of Cebu City's culture include the Mandaue City Plaza, Plaza Independencia, Cebu Metropolitan Cathedral, Basilica Minore del Sto. Nino, Sacred Heart Church, Heritage of Cebu Monument, and Plaza Hamabar and Plaza Sugbo. Cebu City Councilor Margarita Osmena who chairs the Committee on Tourism in a local news report claimed the award gives recognition to the culture, heritage and tradition of cities in the Philippines. “I feel proud and we are challenged,” Osmena was quoted in the same news report. Osmena declared she would sponsor a resolution to declare July 15 as a ‘Day of Culture’ in Cebu City in time for the city’s awarding to be done here. Preparations are now underway as Osmena admitted that she is coordinating with the Cultural Center of the Philippines and the National Center for Culture and the Arts. Mayor Michael Rama on the other hand, said the award certainly brings honor to the city. Such recognition enhances the image of Cebu, not only as a vacation spot that entices foreign tourists for its pristine beaches, but also as cultural tourism destination.